Have you ever made homemade soap? You may not realize how easy it is to make an all-natural soap for your family! 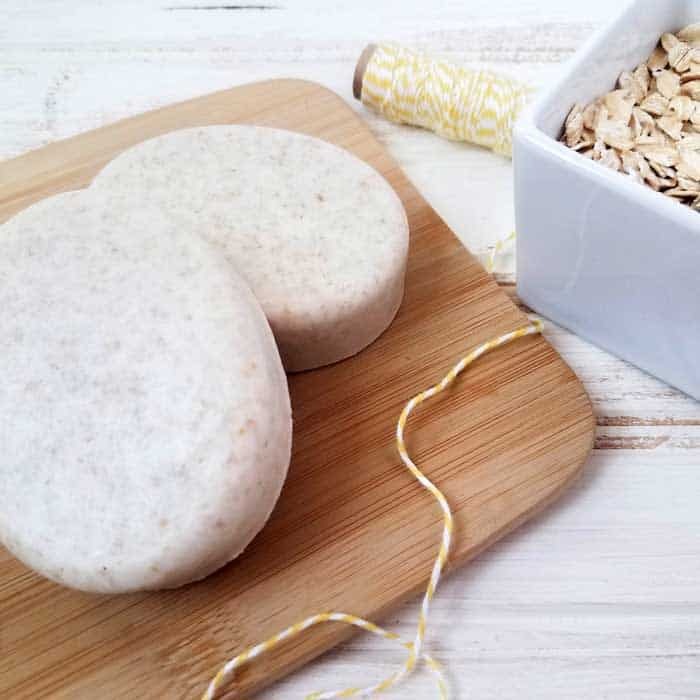 Try this Oatmeal Soap Recipe and you’ll never look back. 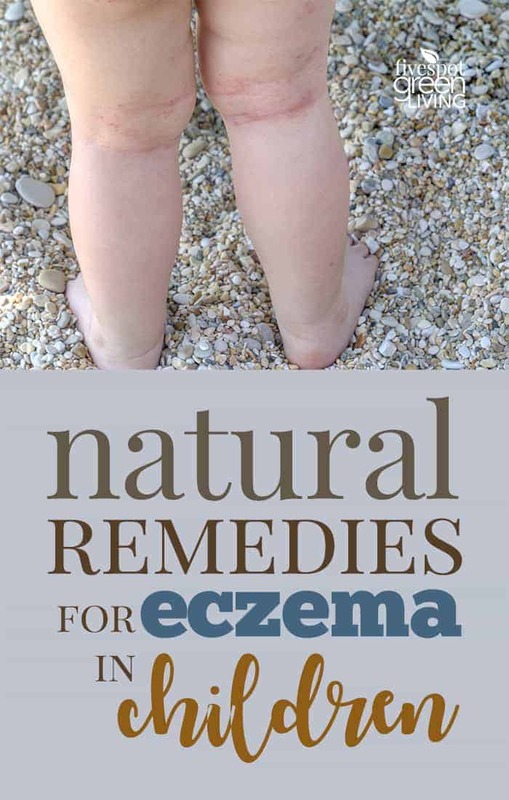 Do you or your family suffer from sensitive and/or dry skin in the winter time? 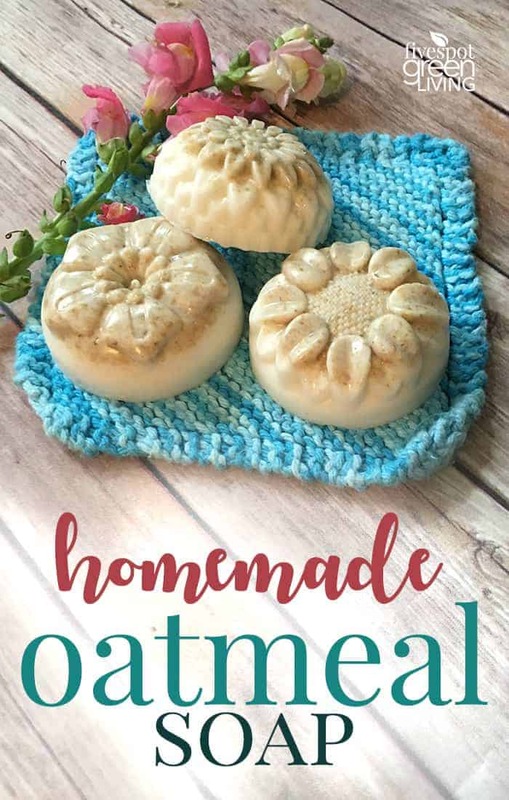 If so, you want to use something like this oatmeal soap recipe that is gentle and soothing for their skin. 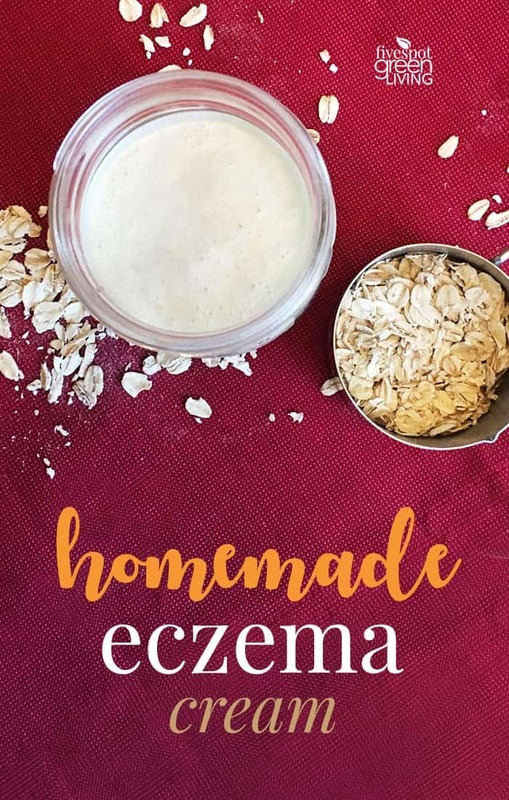 My youngest child has eczema that flares up in the wintertime and we are constantly putting homemade eczema cream on her. 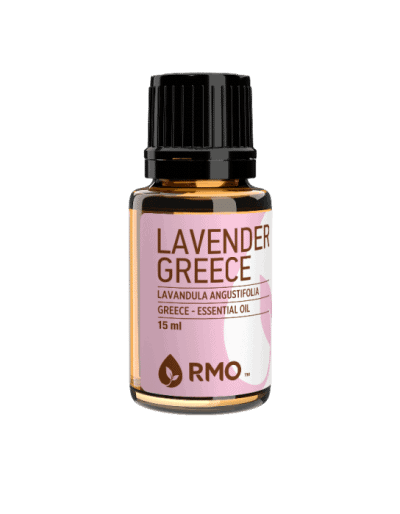 But for best results, you need to start with a gentle soap that is not harsh or irritating. We have seen her skin react to soaps or shampoos that have unnecessary chemicals in them and it’s so uncomfortable for her. This lavender oatmeal soap is made with colloidal oatmeal which helps in protecting the skin. Sulfate free soaps are best when you want to protect the skin. 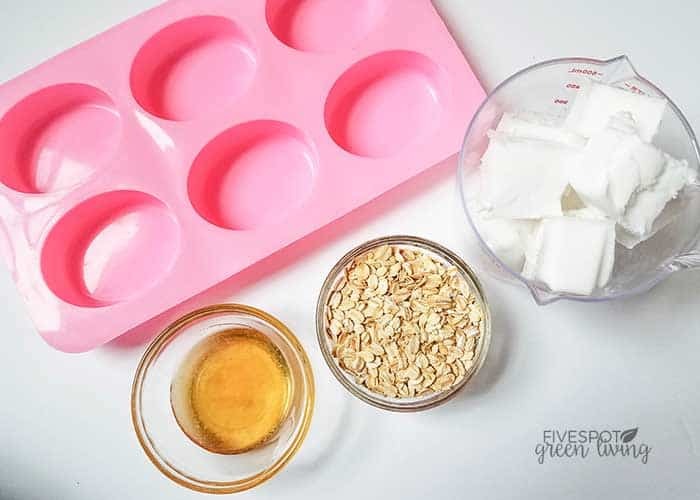 Another great thing about making this lavender oatmeal soap recipe is the kids can help! 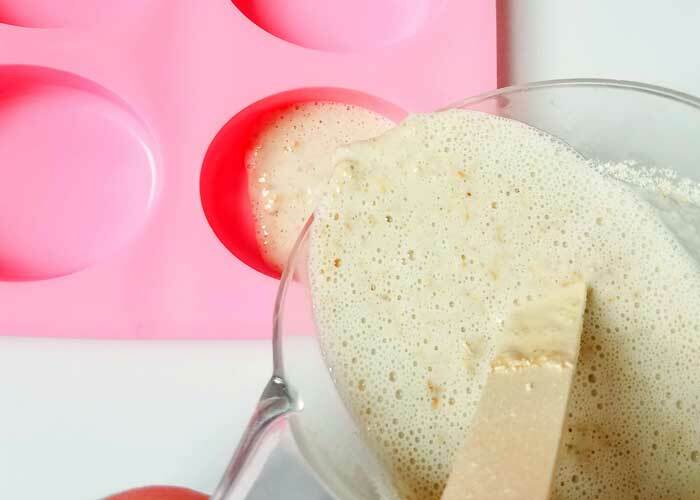 Of course, it isn’t something you want young kids doing by themselves as the soap base can get hot, but my kids love measuring and mixing and seeing the soap form as it cools. They love using homemade soap. 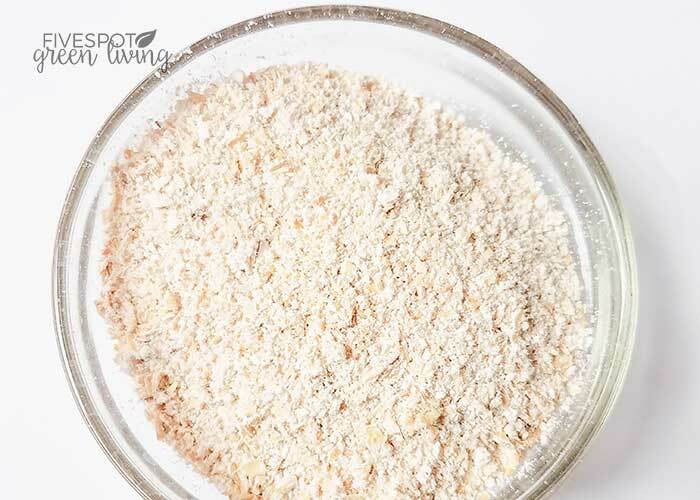 Colloidal oatmeal is finely ground and processed whole oat kernels that can be used as a skin protectant. It forms a thin film which binds to the skin to form a soothing protective barrier. 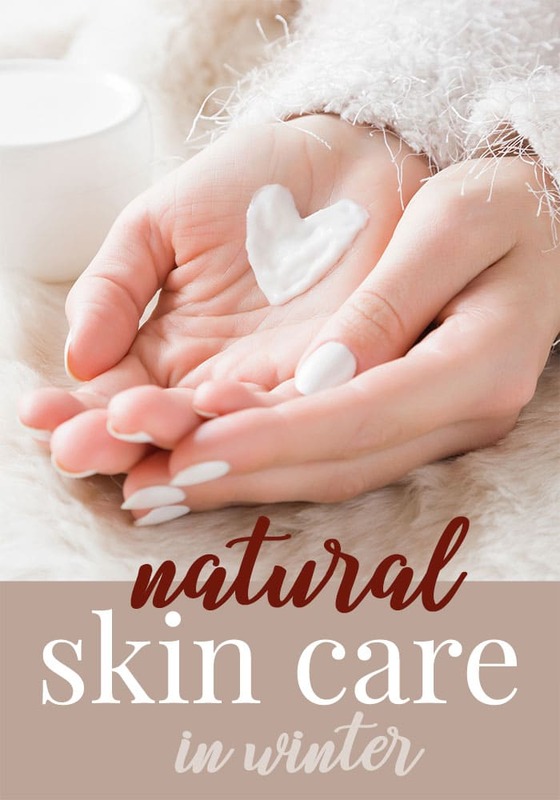 Colloidal oatmeal(1) has been shown to be a safe and effective ingredient in a variety of personal care products and is among the few natural products approved by FDA as an over-the-counter (OTC) skin protectant. The first thing you need to do to make your soap, is decide on the base. 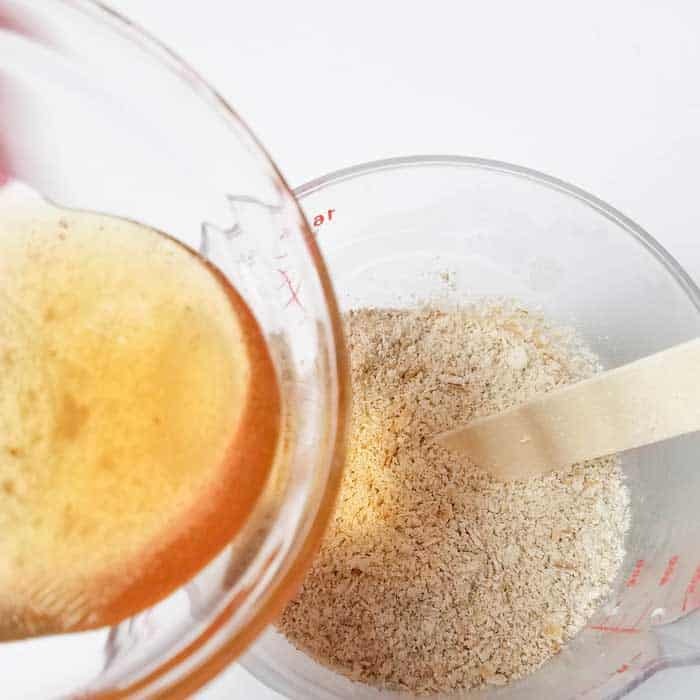 I’ve never used lye, simply because the melt and pour base is the easiest for me with young kids around. Lye is the more dangerous base to work with and does require hand, body, and eye protection as lye can burn the skin. 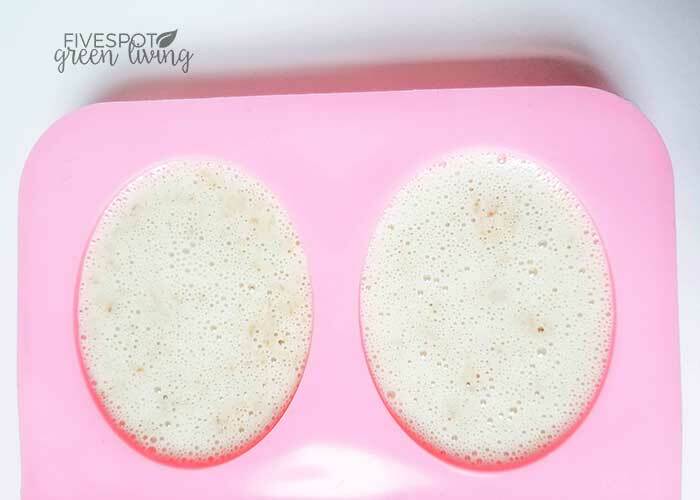 However, lye does produce a large amount of suds or bubbles which most people equate with soap as a whole. But we all know that suds doesn’t equal proper cleaning! Goat milk soap is believed to have skin softening properties. I like to use Brambleberry’s goat milk soap that is real liquid goat milk as found in your neighborhood grocery store. It has a delicate creamy lather and a creamy custard color. First you want to cut up your soap base and melt it down in the measuring cup in the microwave. You can also do this using a double broiler on the stovetop. I have one of those sets that one holds the water and the other one sits on top. Then you put the heat on low to simmer the water. If you are microwaving, melt the soap in the microwave for 30 seconds. Stir. If it is not completely melted, put it back on for 10 second increments, until fully melted. Add the honey, colloidal oatmeal and lavender essential oil to the soap base. Mix well. Pour the mixture into the silicone molds and let set for about an hour. DO NOT put it in the fridge or freezer to speed this process up. It will crack the soap. When the soap has set you can pop it out of the mold. Wrap it for gifts, or store it for your own personal use. 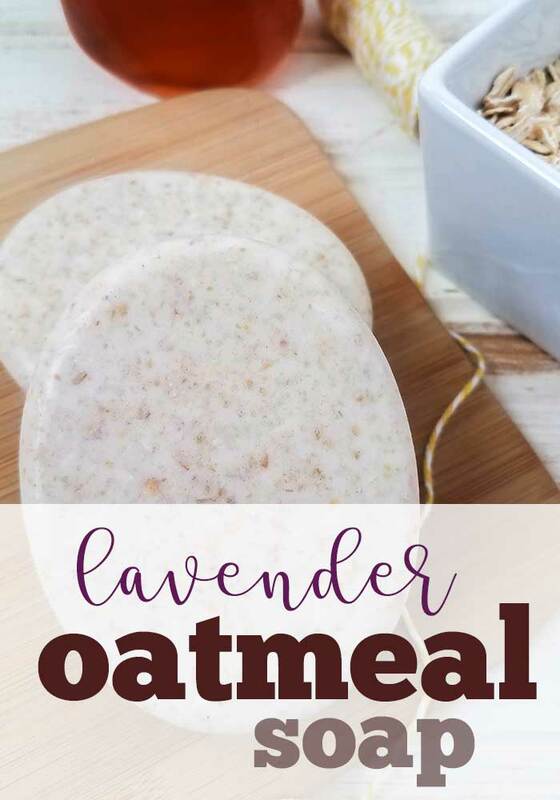 This Lavender Oatmeal Soap Recipe is some of the best soap you will ever use! 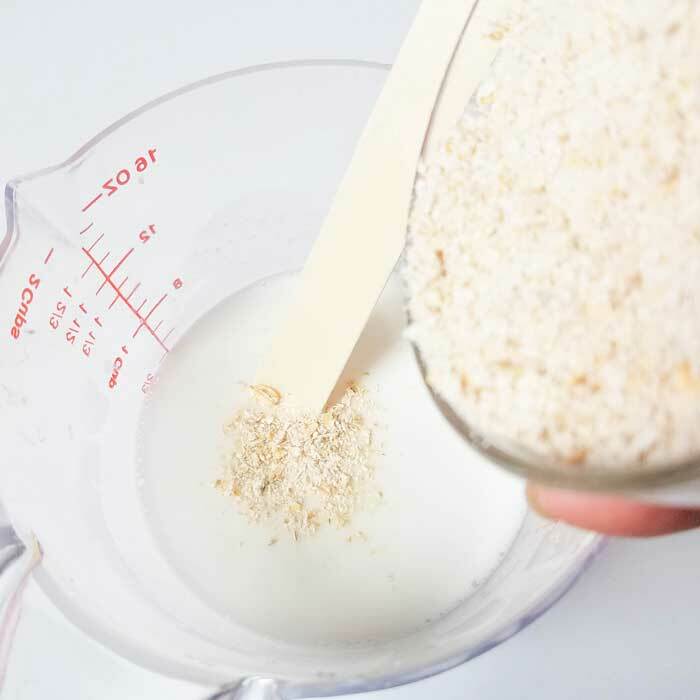 Cut up your soap base and melt it down in the measuring cup in the microwave. You can also do this using a double broiler on the stovetop. When the soap has set you can pop it out of the mold.